Overview: After our visit to the Armamalai Caves, we decided to wrap up our day with a visit to the Vellore Fort and the Tomb of the last ruler from Kandy, Ceylon (Sri Lanka). The fort is surrounded by water from all sides, built in such a way to prevent the intruders from entering the area. The fort dates back to the 16th century, probably used by several dynasties including the Vijayanagara, Tipu Sultan and the British. 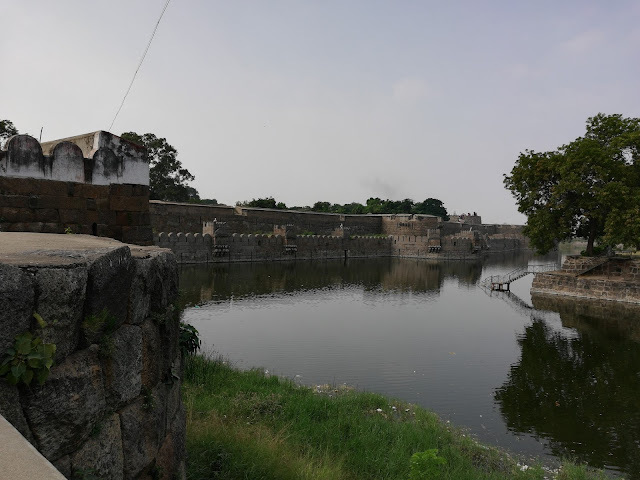 The fort occupies a huge area of around 130 acres and houses a mosque, the St John's church and Jalakantheshwara temple. 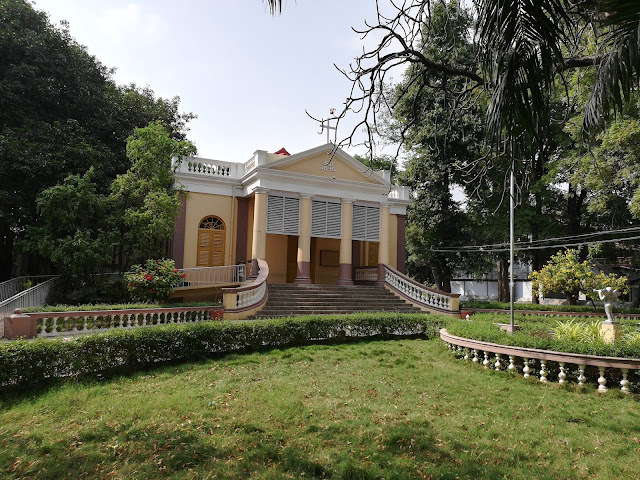 The mosque dates to the Nawabs of Arcot, the church was built by Robert Clive built in the 1800s. 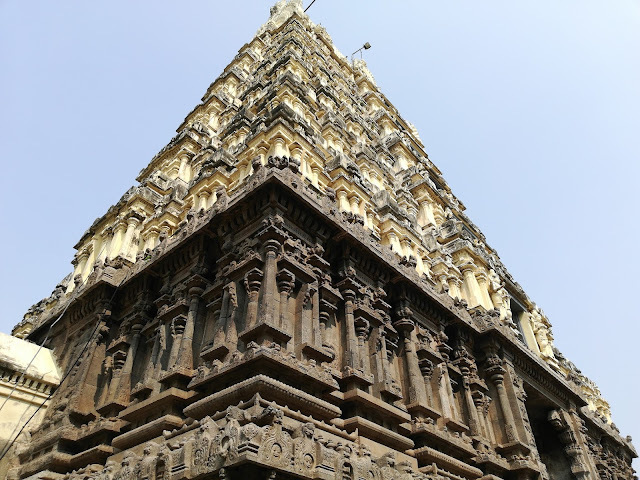 The Jalakantheshwara temple is a massive structure, typical architecture of the Vijayanagara kings. The temple was closed by the time we reached the place so unfortunately we missed the interior architecture of the temple. The fort also has 2 museums, which has artifacts from the entire district. Also within the fort is the Hyder Mahal and Tipu Mahal, but it is prohibited to enter the area as it is within the defense area. 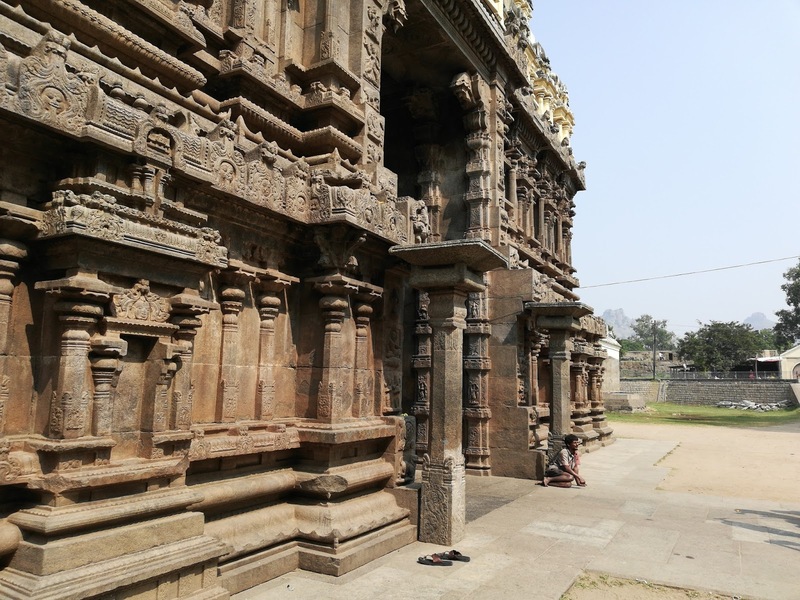 Another interesting place in Vellore is Muthu Mandapam, which has the tomb of Sri Vikrama Rajasinghe, the last ruler from Kandy, the erstwhile kingdom in Ceylon (Sri Lanka). 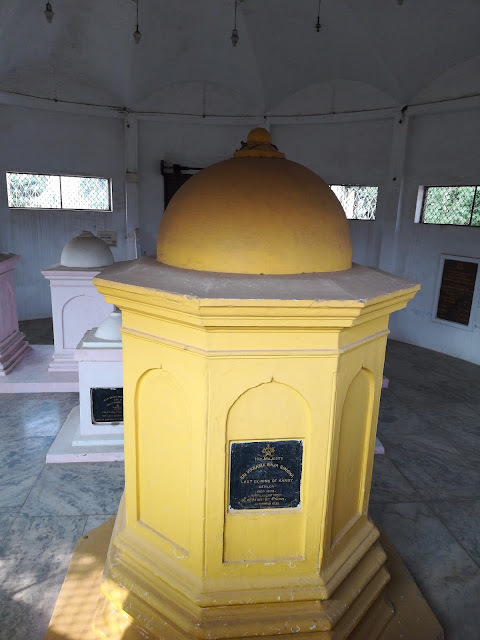 The tomb has a upper structure having a plaque bearing the name of the Kandy king and his kin. Food/Accomodation: The town has some eateries for decent food, however, pure veg restaurants are less. Staying options are available in Vellore. How to reach: Vellore lies along the Bangalore-Chennai highway, around 140 kms before Chennai. The town also has a railway station.